Gary Allen (who was once an illustrator) dreams, talks, and writes about food, which he also loves to cook and eat. After writing The Resource Guide for Food Writers (1999), he edited Remarkable Service for The Culinary Institute of America (2001). He’s contributed articles to Culinary Biographies (2006), and Scribner’s Encyclopedia of Food and Culture (2003). He was Associate Editor of, and contributor to, The Oxford Encyclopedia of Food and Drink in America (2004) and The Concise Oxford Encyclopedia of Food and Drink in America (2007). He is the author of The Herbalist in the Kitchen and co-edited The Business of Food: Encyclopedia of the Food and Drink Industries (2007). His other books include: Herbs: A Global History (2012); Sausage: A Global History (2015); and Can It! : The Perils and Pleasures of Preserving Food (2016). He has contributed many articles to several other food encyclopedias and he occasionally, he writes for magazines , e-zines, and symposia. He was, for years, food history editor at the James Beard Award winning website, LeitesCulinaria.com. He has also published, for nearly two decades, a monthly electronic newsletter about online resources for food writers, which is now part of his blog (http://justserved.onthetable.us). O Brave New World, That Has Such Sauces in It! A truly comprehensive world tour of sauces, with recipes for every sauce you can imagine (and some you can't). This book is a lively and engaging fresh take on what sauces are and how to define them, with scientific principles and a healthy dose of humor, a century after Escoffier. 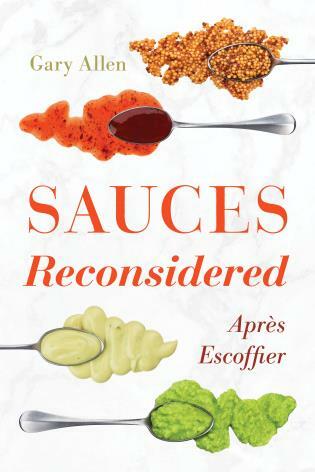 Sauces Reconsidered: Après Escoffier replaces the traditional French hierarchy of sauces with a modern version based on the sauces’ physical properties. 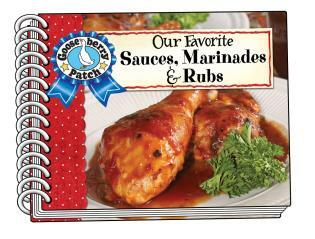 While it is not a traditional cookbook, it does include many recipes. Cooks need not slavishly follow them, however, as the recipes illustrate their underlying functions, helping cooks to successfully create their own sauces based on their newfound understanding of sauces’ intrinsic properties. Gary Allen explores what makes a sauce the type of sauce it is, how it works, why it is specific to a particular cuisine, and how cooks can make it their own through an understanding of how the ingredients work together to create a sauce that enriches a dish and tantalizes the taste buds.